Presenting at a trade show offers several opportunities to enhance your business. Generating leads and improving brand awareness are two of the most important. 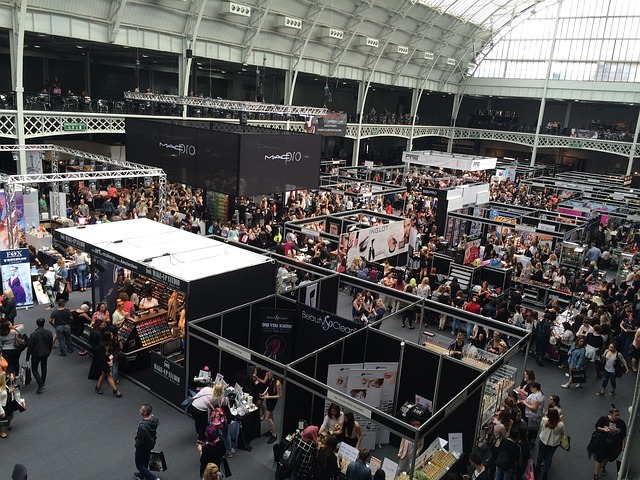 When preparing for a trade show there are many different ways you can optimize your approach. Here we break down ten aspects of your preparation that will require attention to detail. Much like any other marketing strategy it is important to have clear goals and objectives prior to attending a trade show. Having a set plan will help your team be more organized and get the greatest ROI from your attendance. Have written goals as well as a game plan for seeking out prospects and meeting with potential clients. This will largely depend on the focus of the conference and what your objectives are. When selecting who should attend, you may want to take into consideration possible sales opportunities as well as a chance to train future marketers or salespeople. Having two shifts of people to operate your booth will ensure everyone that visits will get a fresh and energetic pitch. Your booth should be easy to spot and showcase your brand. Branded banners, tablecloths and signage should be included, but not overdone. Some key items to consider are your available space, number of attendees, product placement and presentation materials. Having a large monitor to run a Prezi or power point presentation will help to draw in foot traffic. Knowing your audience and their specific pain points is integral when determining which products to feature in your demonstrations. Determine who you’re selling to and focus on solutions that will fit their needs. Allowing attendees to demo your product will allow them to see the true benefits of your products and ask questions based on their experiences. If you have specific companies or individuals you would like to connect with you may consider creating personalized content. This can be anything from a pdf download to a microsite built specifically for them. High-level personalization will show your prospects you are serious about doing business with them and believe the relationship is a good fit. Many people still use QR codes or bowls for business cards to capture leads, which can be effective, but cumbersome and time consuming. Having a tablet where you can quickly enter leads in real time will make things easier for both you and your prospects. Be sure you include a space for internal notes so you can personalize your follow ups. Prioritizing which prospects you would like to spend your focus on will help you navigate your next trade show efficiently. While you’re not looking to brush off any potential customers, attending trade shows can be expensive and maximizing your time with top accounts should be a priority. Small branded items make a great way to expand the reach of your brand and even garner the attention of attendees if it’s impressive or unique. Items that can be used in everyday life are especially effective as your brand will be in front of them well past the show. Some examples include zip drives, t-shirts, key chains and miscellaneous office products. Promoting free trials or discounts available to event attendees only can help get your foot in the door with key accounts and help build relationships with those you may already be nurturing. Carefully consider your offers to ensure they fit the needs of your audience and budgetary limits. Social media can be used to promote to your attendance before, during and after an event. This will help to build a buzz around your presentation and can also help improve social media engagement metrics.